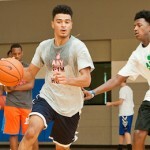 BUFORD, Ga. – The Elite Basketball Academy All-American Camp is designed to bring some of the nation’s top prospects together to compete and showcase their skills in front of BrandonClayScouting.com and OTRHoopsReport.com evaluators. The 5-foot-11 shooting guard helped get ahead of the curve of development at the EBA All-American Camp. Just entering into his first year of high school, Oropeza has a definitive skill that could help him find court time this season. He is a shooting specialist who can be deadly with his feet set. His solid technique and understanding of the game helped him to be productive during game play. With growth and maturity still in front of him, he projects to become a player that will be on our radar for years to come. In the immediate future the freshman essay on my summer vacation plans will want to spend time developing his offensive game off of the dribble. Although he has solid ball skill, he could still learn how to attack with the drive. We predict that he will be able to add that his game over time and become a well polished player. Orr is a forward that has a number of skills that make him a productive player on the court. At 6-6 he has the size to be a legitimate post option that can score on the interior. 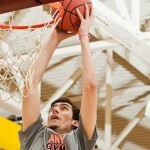 As he showed during skill work and game play, he can finish effectively with both hands around the rim. However, it is his face the basket skills that make him a truly versatile player at the 4-position. He has range on his jumper to just inside the 3-point arc and has ball handling ability. These skills combined allow him to be a great hi-lo option within the half-court set. However, what truly sets Orr apart as a great post option is his motor. french and indian war essay He is the type of player that does not have to be told to do a duty twice before he accomplishes it. He cleans the backboards with a high energy work ethic that is matched by few. Orr will play alongside of Austin Venable this season at Banks County High School. This post tandem should terrorize Region 7-AAA this season. 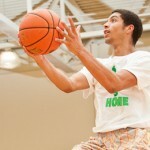 The left-handed guard produced smooth plays with the ball in his hands at the EBA All-American Camp. 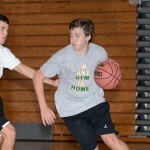 His natural leadership style and command of the game helped make him one of the top sophomores on hand at the camp. Scott has the skill to play either guard position as either a handler or a shooter. However, we project him long term as a play making lead guard who can create shots for himself and his teammates. Scott showed a high basketball IQ and was able to make reads with teammates in the flow of the game. The Indiana native does not have a glaring weakness in his game gatsby american dream essay at this moment, however he will need to continue to add strength and explosiveness to his somewhat smaller frame. That aside, Scott projects to be a player that we will watch grow as he plays ball in the Midwest.